If you redirect your Blogger post feed through Feedburner, there's no need to change any further settings. Since Feedburner uses the Blogger feed we specify, this is updated automatically. Do you prefer the summarized Blogger Buster feed? As posts here on Blogger Buster are often image/code heavy, I decided to begin using the new feeds option instead of the Full feed. 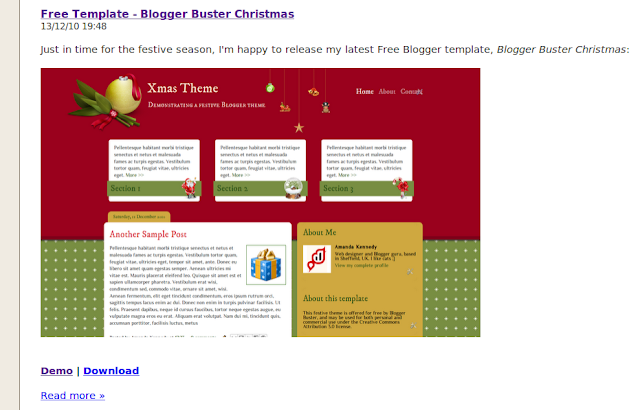 I hope this will prove more useful for subscribers, particularly those who receive updates by email, as it will save time for images to load and read the full item on Blogger Buster with more illustrative formatting applied. Have you tried the new option for your own post feeds? Do you prefer this new format, for your own sites and also the change for Blogger Buster subscribers? Please feel free to leave your comments using the form below.